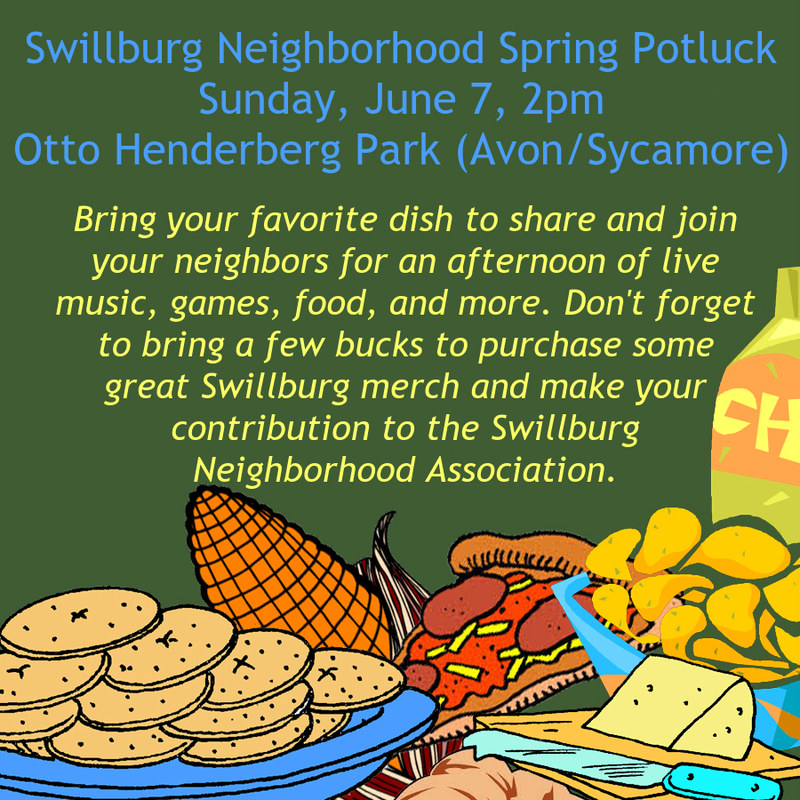 Annual Potluck: Sunday, June 7, 2pm @ Otto Henderberg Park – Welcome to Swillburg! It’s that time of year, Swillburgers! Join us for our annual potluck in Otto Henderberg Park. Sunday, June 7th at 2pm. Details and RSVPs, as always, on https://swillburg.nextdoor.com.